My research interests are in the field of metabolic pathway evolution in plants. Using bioinformatics and molecular tools I am looking at the evolutionary history of genes through the study of gene families that are linked in pathways. To better understand how gene families are linked, my lab is studying the evolution of the gene families involved in the anthocyanin pathway (the metabolic pathway in plants involved in red and blue flower and fruit color). To date we have looked at three structural plant gene families chalcone synthase (CHS), Dihydoflavonal reductase (DFR) and Anthocyanindin synthase (ANS) and three linked regulatory genes myb, beta helix loop helix (bHLH) and WD40. CHS, DFR and ANS are enzymatic structural genes involved in the biosynthetic pathway leading to anthocyanins. Two of the three of these genes, CHS and DFR, are part of gene families in most plant genomes. These gene families do appear to have different evolutionary histories. Currently, my students are trying to isolate more members of these gene families from lower plants and monocots and dicots to address our main question concerning the rate of recruitment. In particular, we have worked on Poaceae (grasses) and palms as well as dicots in the plant family Asteraceae (sunflowers). We have used one model system involving Hawaiian Silverswords and their California progenitors. the Tarweeds. Gene copies have been found in many of these species and we continue to isolate genes in the hope of obtaining all gene copies from these genomes. Future studies will include isolation and analysis of genes in lower plant genomes such as Ferns. Plant myb, bHLH and WD40 genes are transcription factors involved in regulating many biosynthetic pathways in plants. Some members of these gene families are involved in regulating transcription of CHS, DFR and ANS as well as other genes in the phenylpropanoid pathways. All three of these regulatory genes appear to be from large and ancient gene families. Members of my lab have isolated copies of these genes from Hawaiian silverswords and California tarweeds. All of these genes are linked functionally and appear to have different evolutionary histories. Analysis of these histories may give us insight into how genes linked in pathways evolved and how the pathways themselves evolved. We have also worked with grasses in order to establish the point of loss of the accD gene in the chloroplast. This gives us insight into how the grasses have evolved which is still not entirely clear. Most of the students involved in my lab learn how to use molecular biology techniques such as PCR, cloning, sequencing and then bioinformatics techniques involved in analyzing how genes are related and their evolutionary history. Much of my work in plant evolutionary genetics and science education has been supported by grants. I have written many grants both by myself and as part of the CSCS team. I have been awarded approx. 4 million in funding over the last 14 years. Herr, N.;Rivas, M..; Chang, T.; Tippens, M.; Vandergon, V.; d'Alessio, M.; Nguyen-Graff, D. (submitted).Continuous formative assessment (CFA) during blended and online instruction using cloud-based collaborative documents. In Koç, S; Wachira, P.; Liu, X. Assessment in Online and Blended Learning Environments. Chapter submitted for publication. Herr, N., Rivas, M., Foley, B., d'Alessio, M. & Vandergon, V. (2012). Using Cloud-Based Collaborative Documents to Perform Continuous Formative Assessment During Instruction. In T. Bastiaens & G. Marks (Eds. ), Proceedings of World Conference on E-Learning in Corporate, Government, Healthcare, and Higher Education 2012 (pp. 612-615). Chesapeake, VA: AACE. Herr, N., Rivas, M., Foley, B., Vandergon, V., d'Alessio, M., Simila, G., Nguyen-Graff, D. & Postma, H. (2012). Employing Collaborative Online Documents for Continuous Formative Assessments. In P. Resta (Ed. ), Proceedings of Society for Information Technology & Teacher Education International Conference 2012 (pp. 3899-3903). Chesapeake, VA: AACE. Herr, Foley, Rivas, d'Alessio, Vandergon, Simila, Nguyen-Graff, Postma (2012). Using Cloud-Based Collaborative Documents to Perform Continuous Formative Assessment During Instruction. Proceedings of AACE E-Learn Conference. Montréal, Canada, 10/9/12. Harris, Mark E.* Gabriele Meyer*, Thomas Vandergon, , Virginia Oberholzer Vandergon (2012) Loss of the Acetyl-CoA Carboxylase (accD) gene in the Poales. 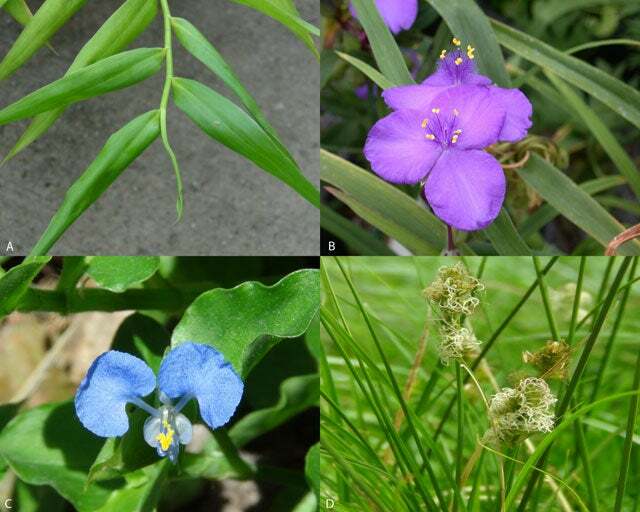 Plant Mol Biol Rep.
Herr N, Rivas M, Foley B, Vandergon V, Simila G, d'Alessio M, Potsma H. 2011. Computer supported collaborative education - strategies for using collaborative web-based technologies to engage all learners. Proceedings of the 9th Annual Hawaii International Conference on Education, January 3-7, Honolulu, Hawaii. Herr N, Rivas M, Foley B, Vandergon V, Simila G. 2011, Using collaborative web-based documents to instantly collect and analyze whole class data. Proceedings of the 9th Annual Hawaii International Conference on Education, January 3-7, Honolulu, Hawaii. Sims R*, Vandergon V.O, Malone CS. 2011. The mouse B cell-specific mb-1 gene encodes an immunoreceptor tyrosine- based activation motif (ITAM) protein that may be evolutionarily conserved in diverse species by purifying selection. Molecular Biology Report. Vandergon, V. M. Oberholzer (2007) Improving aptitude and attitude in Science teaching. Academic Exchange Quartley, Fall pp 108-112. Vandergon, V.M. Oberholzer Edited General Biology by B. Laminshaw. Chancellor’s Learning Systems. (September 2001 and 2004). 1997. Morton, B.R., Oberholzer, V.M. and Clegg, M.T. The influence of specific neighboring bases on substitution dynamics in noncoding regions of the plant chloroplast genome. Journal of Molecular Evolution 45 3:227-231.